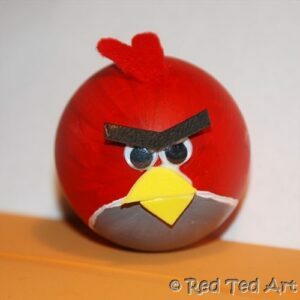 Ever since we went to Birthday party a few weeks back and Red Ted received an Angry Birds keyring he has been “at me” to make more Angry Birds for him. 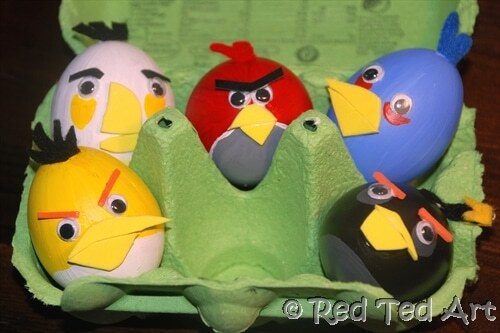 So finally, I did… we made some Angry Birds Easter eggs. I “Blew the Eggs” out. 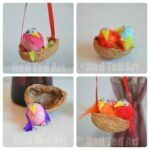 Painted the Angry Birds eggs with acrylic colours (here is a tip showing you how to stick them on little sticks for painting – no fingerprints or unpainted areas). 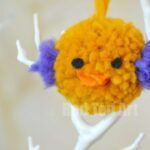 Used “funky foam”, card and felt for beaks, eyebrows and feathers. And googly eyes for, ahem, eyes. 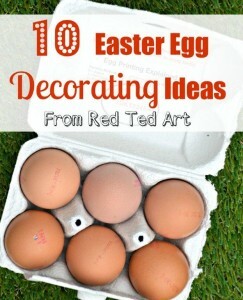 And PVA glue to stick it all on the Easter Eggs. Funky foam can be a little tricky to cut neatly, so next time I may just use yellow card! 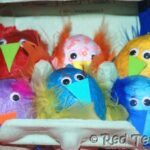 The red Angry Bird and the Black Angry birds are ordinary eggs on their side, whilst the others are all upright eggs. Angry Birds here we come! 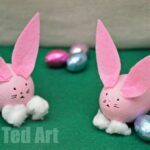 More on 40+ Easter Crafts to Inspire , including many more Easter Egg decorating ideas and the Easter Category pages. I think I will be making more!!! Fab! 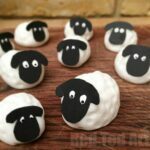 These are ace, my nephews would love to do this. I can\’t wait to show them to the neighbour\’s boys… I think they will love them!! Wow!!! You sure are creative! Way to go. That must have been a lot of work. I\’d love to have you share this with my readers for our Fun Stuff Fridays linky party. No no, seriously… not that much work at all 🙂 lots of fun though! 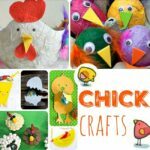 Would love to share it on your linky! Great idea, my boyfriend really love angry birds! how fun and easy is that? Very cute!! 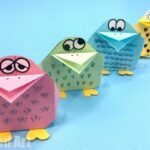 I love these, they are really very angry and look fab in the egg box! Thank you so much for sharing on the Afterschool Party! 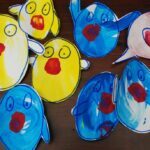 I see quite a few happy kids getting the chance to make their very own Angry Birds. cute! My husband loves Angry Birds! What fun idea! My son love Angry Birds!